One of the things that sandblasting is great for cleaning is boats. Boats put up with a lot of wear and tear, from being out in the water during the summer time, to being stored during the cold New England winters. You have probably never heard someone get excited over the fact that they need to scrap the bottom of a boat for algae, or completely remove paint from a wooden boat. Having to remove paint or algae from a boat is one of those chores that has every reason to be called a chore. This is where the magic of sandblasting comes in. If you hire an expert to strip the bottom paint off a boat, or areas where algae has built up, you can save yourself tons of time and potentially money. 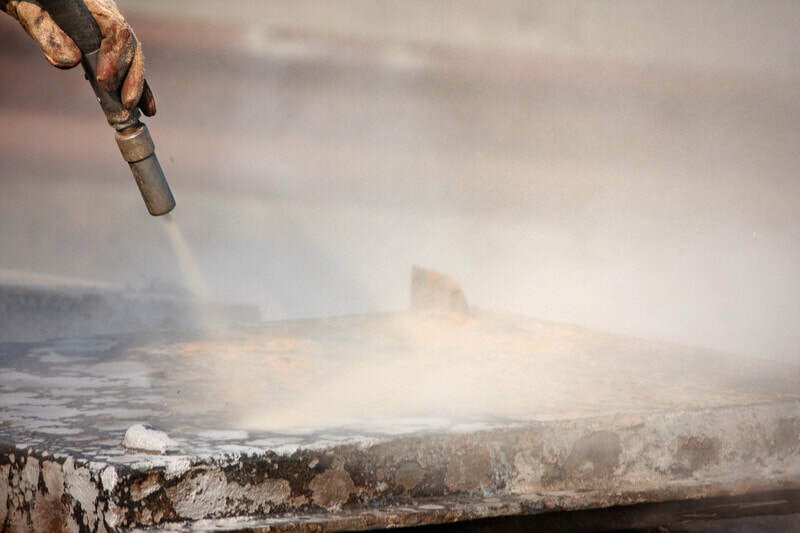 ​Sandblasting professionals have the knowledge and tools to be cost effective and efficient, while also being environmentally sound. Why Should you get your Boat Bottom Blasted? The first reason that you should get your boat bottom blasted is that stripping a boat bottom by hand is very difficult and dirty work. 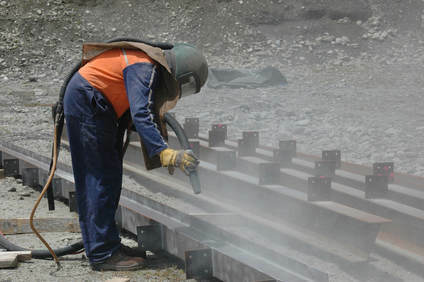 Using a professional sandblasting company will take care of both of those issues so you don’t have to deal with it. The second reason is that many times a boat owner will just re-apply paint to the boat bottom without properly removing the previous paint. Over a boats lifetime this can lead to significant buildup of paint, which can actually add unnecessary weight and in the worst cases drag from sloughing or flaking paint. The third reason is that when you apply paint to an uneven of flaking surface, it will not stick to the boat. 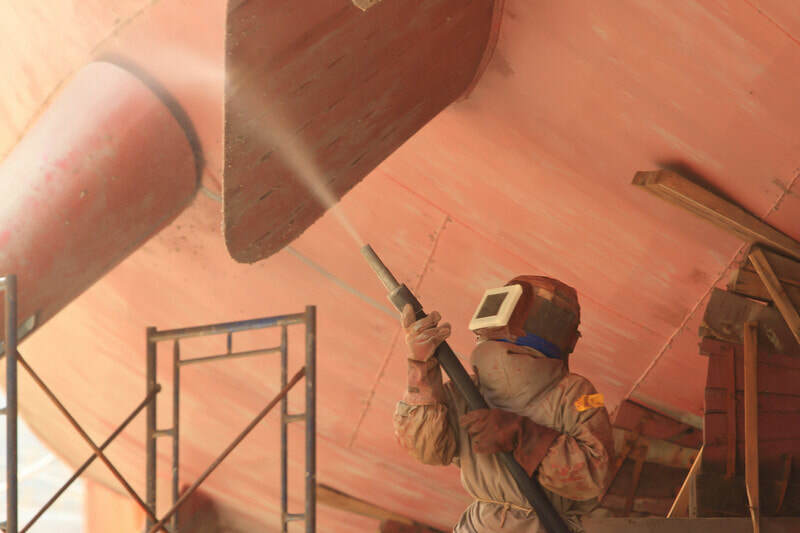 When you use sandblasting to clean the bottom of your boat it will provide a fresh start, which guarantees that the paint and coatings will be applied correctly. Another thing to take into account is when you buy a used boat it is not uncommon for the previous owner to have covered up underlying problems with a fresh coat of paint. Having a new “used” boat sand blasted will guarantee that any underlying problems are uncovered and dealt with appropriately before you head out on the water. 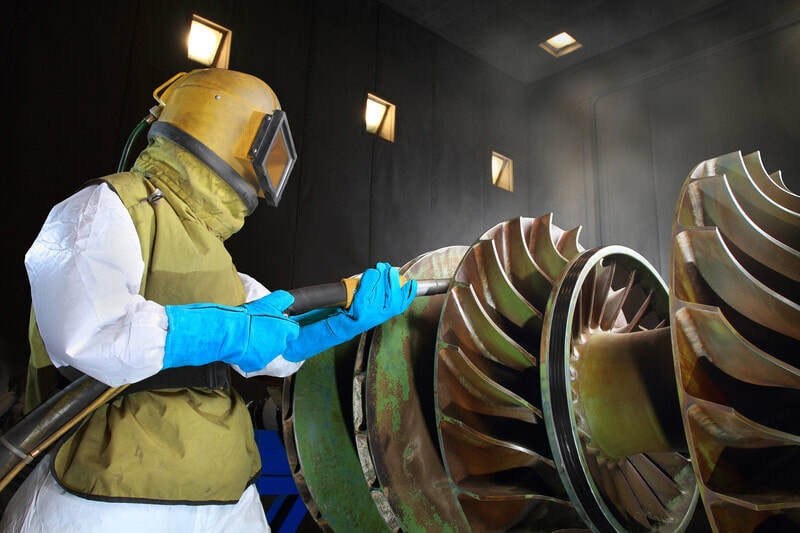 Some companies might use a baking soda blast process, although the new popular method is using crushed walnut shells for a blasting. ​It has been discovered that walnut shells are very gentle to the barrier coat and gel coat on bats, isn’t corrosive and is less dusty than baking soda blasting.